Edinburgh’s Lyceum reminded Scotland of its potential. Beginning the year with a barnstorming Caucasian Chalk Circle, departing artistic director Mark Thomson revealed a flair for popular, intellectual theatre drawing on cabaret and live music, in the spirit of Brecht himself. 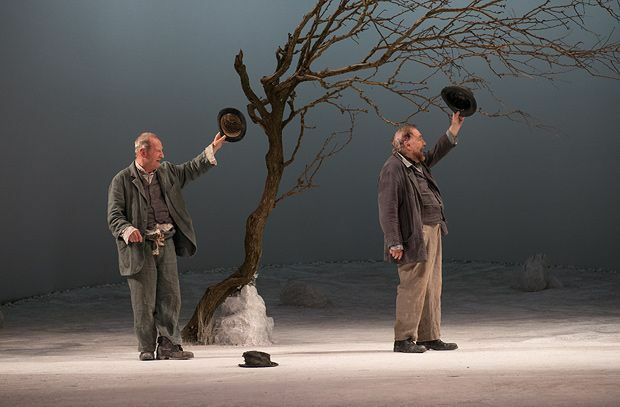 A well-received Waiting for Godot confirmed that the Lyceum fulfills its remit as a production house that reimagines classic, even over-familiar texts. At the Edinburgh International Festival, the revival of Paul Bright’s Confessions of a Justified Sinner was a consolation to those disappointed by the lack of funding awarded to Untitled Projects, while the Citizens’ Lanark did a solid job of staging Alasdair Gray’s postmodern novel. In Glasgow, Andy Arnold directed his first Beckett for the Tron: a superb performance from Karen Dunbar in Happy Days (ably assisted by Arnold in a minor role) proved that he not only has the skills that made his reputation at the Arches but also that Beckett’s pessimism remains pertinent today. The incisive script was embellished with a visceral poetry through Dunbar’s Scottish accent, and the metaphysical terror was given a new layer of domestic frustration. Although any mention of the Arches is tinged with sadness at its closure, the final Behaviour festival needs to be remembered as an example of how important the venue has been for theatre. Roving across Glasgow – events happened at the CCA, the Citizens as well as its home theatre – Behaviour gave a platform to veterans and emerging artists alike. Gob Squad nailed the vacuous self-obsession of the internet age in Western Society, neither entirely condemning nor accepting the shaping of identity through ideals of celebrity, bling and social media. Ishbel McFarlane’s O is for Hoolet was an example of the distinctively Scottish work that the Arches has promoted: delicate and sensitive, it weaved a wry humour through a serious meditation on how language defines us.